Welcome to the online bulletin for Gwinnett Church! These are the highlights of things happening in and around Gwinnett Church at both our Sugar Hill campus and Hamilton Mill campus that we want to make sure you know about. Please comment below if you have any questions about any of the items you see below. 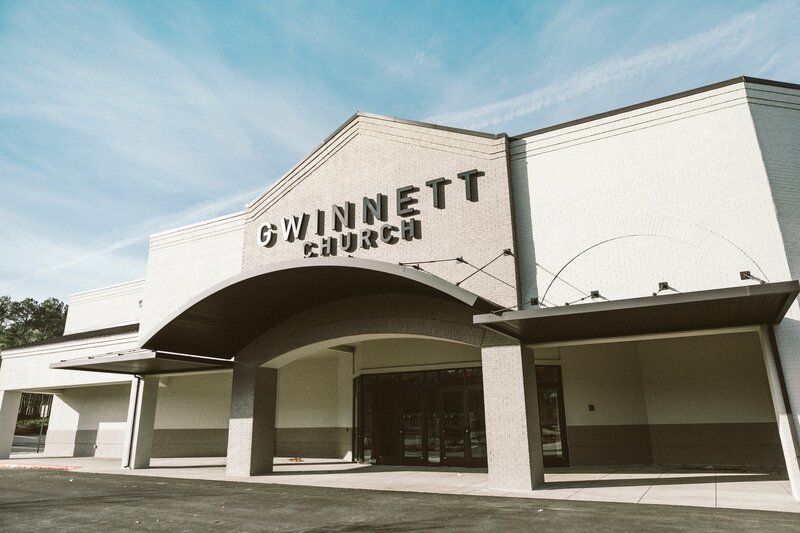 In case you haven’t heard the news, our second Gwinnett Church location is open! The address for the new location is 2000 Gravel Springs Rd. Buford, GA 30519. Service times are the same as at GC Sugar Hill, 9:15 a.m. and 11:15 a.m. Our preschool, elementary age, and middle school environments are available during the 9:15 and 11:15 services. No high school ministry meeting over there yet, but students are encouraged to attend InsideOut at the GC Sugar Hill campus at 5:00 p.m. every Sunday evening. The Transit staff and small group leaders invite our 8th-grade girls and their parents to a shared experience celebrating the completion of middle school and the beginning of an exciting new season of life. Beloved will be a special night together that includes worship and an opportunity for parents to read a blessing over their daughter. Click HERE to register. WHEN: Thursday, May 2, 2019, at 7:00 p.m. The Transit staff and small group leaders invite our 8th-grade boys and their fathers to a shared experience celebrating the completion of middle school and the beginning of an exciting new season of life. Pig Roast will be a special night that includes dinner, fire pits, fun, and an opportunity for parents to read a blessing over their sons. Click HERE to register. Are you curious about what happens in our K–5th grade environment? Do you want to have an impact on the next generation? We do more than just babysit here! 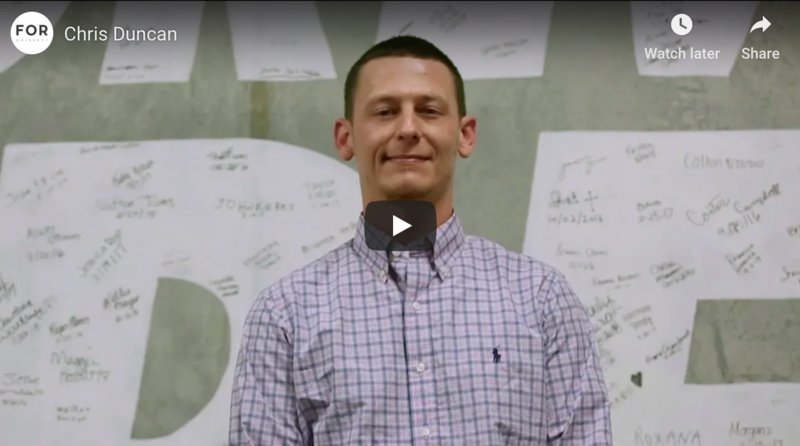 UpStreet invites you to learn more about what we do each Sunday. Our orientation is a noncommittal way to see what happens on UpStreet, and it will help you identify where your strengths might fit into our desire to lead the next generation into a growing relationship with Jesus. Orientations are taking place at both our Hamilton Mill and Sugar Hill campuses. For more information, please email catie.ramp@gwinnettchurch.org. Starting Point groups introduce topics designed to encourage conversations about how to apply faith to your life. Whether you’ve been coming for years or it’s your first week, take this important next step. Groups begin Sunday, April 14, at 9:15 and 11:15 at both our Sugar Hill and Hamilton Mill locations. Register at www.startingpoint.com. If you are a doctor, nurse, or EMT, you can help provide a safe environment for our guests during our Sunday services and special events. To find out more about serving on our team of medical response volunteers, email Sarah Robison at sarah.robison@gwinnettchurch.org. If you are looking for an area to volunteer during the week, we have an opportunity just for you! Each week we have a small group of volunteers that help us get ready for Sunday. 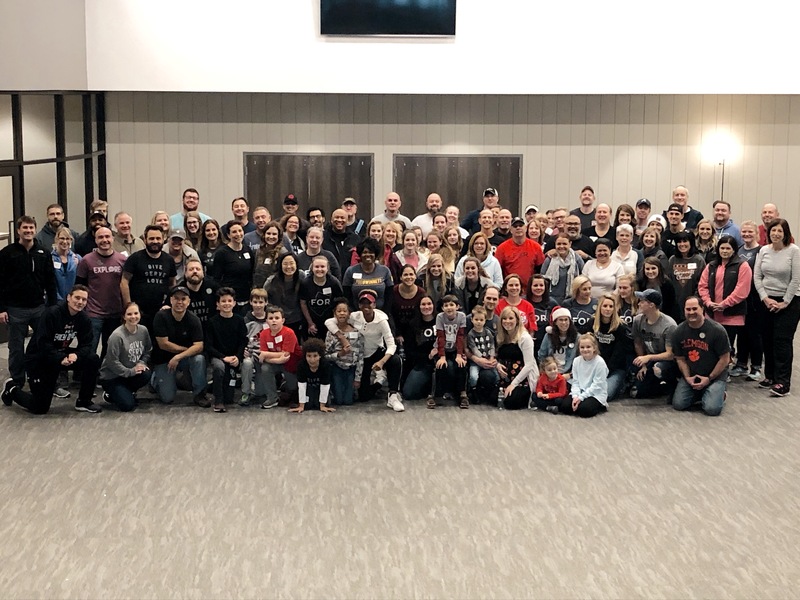 If you’re interested in learning more about joining this team that serves on Thursday mornings, please contact Alicia at c-aliciagatlin@gwinnettchurch.org. We have openings on our weekday receptionist team and are looking for some friendly people who would love to serve Gwinnett Church during the week. Responsibilities include greeting people walking in, answering phones, and helping with small projects. Please email amberly.sykes@gwinnettchurch.org if you would like more information. Would you like to pray for the people that attend this church? Would you like to be mentored in your own prayer life? Would you like a group of people to pray for you? Consider joining our Monday morning prayer group. We meet every Monday from 6:30 to 7:30 a.m. in the Gallery. There’s no obligation; just show up. To submit a prayer request, please click HERE. Have you been positively impacted by our messages at Gwinnett Church? Sharing a bit of what you’ve gained here on Sunday with your office during the week can be as simple as hosting a Life Lessons group at work. Email lifelessons@gwinnettchurch.org for more info. Or, check out one of our open groups to get a feel for what Life Lessons is all about. Let us know you’re coming at lifelessonsoverlunch.com/roam. Everyone is welcome! Roam Alpharetta: 1st Thursday of the Month | 12:00–1:00 p.m.
Roam Dunwoody: 2nd Thursday of the Month | 12:00–1:00 p.m.
Roam Buckhead: 3rd Thursday of the Month | 12:00–1:00 p.m.
Roam Galleria: 4th Thursday of the Month | 12:00–1:00 p.m.
Got a Netflix subscription? Have friends with a Netflix subscription? Now you and your friends can catch the most-watched Your Move series—Starting Over—on Netflix. Find us by searching for “Andy Stanley.” The more you watch, the more likely it is that you’ll find more Your Move episodes on Netflix in the future. Spread the word. If you would like someone to pray for you or to talk with you about something in your life, re:new mentors are available. They provide care and support for people experiencing challenging circumstances. Our re:new mentors are located in the Gallery after each service. You can read more about this ministry HERE. In these days of heightened job uncertainty, many of us are either seeking new employment or know someone who is. Join us for a gathering called C3G (Christ Centered Career Groups) Monday mornings at 7:45 a.m. in the Theater at North Point Community Church in Alpharetta. Also, if you’re an employer with a job opening, you can share it with C3G attendees. For more information, please click HERE. Just a suggestion: put a link to the blog on the G Church website. Thanks Candis. We have one at the bottom of the page, but are working on switching it to a location higher up on the site. Thanks for the suggestion! Been living in Gwinnett pretty close to a year now. Since I came across north point ministries, I have been a follower on line. The sermons and small group study materials are my devotion guide. Thanks for keeping my faith anchored. I attend service with my host cus she has.a car and I dont. My kids and I follow you all on line as much as we can. Cant wait to get my driver’s license and Gwinnett church, here we come cus we are so close but uet seem far. TRUE TELLING, its the WORD SIMPLY MINISTERED and love and care shown NO MATTER WHO YOU ARE , WHAT YOU LOOK LIKE AND WHERE YOU COME FROM that got us know CHRIST IS PRESENT. Are there any resources in the works to provide the message in the services or online with closed captioning for hearing impaired (those who do not use sign language)? At least having it online or enabled for television would open up the message to many new people. Thanks Susan. Unfortunately, at this time there are not. We’re so sorry! Susan. I hope you get this. Your comment was super long ago. One place we do have closed captioned messages is on Your Move with Andy Stanley. All of the messages there are closed captioned. I REALLY hope that helps a little. Any chance there is video of the young lady who sang Death Was Arrested this last weekend. I loved her version. Hi Billy. Right now, there is not. If we are able to post it, we can let you know. In this Sunday’s service, they mentioned something about a retirement message/series but I don’t see anything about it posted here. How do I get more info about the event and the dates? Hi Danyel, We will be hosting Dave Ramsey’s Financial Peace University at our campus starting in February. For more information, check out our website: gwinnettchurch.org/adults/short-term-groups/financial-peace-university. Any other type of Men’s small groups outside of 7? I’m hearing a lot of men wanting to get in a small group but can’t attend 7 due to the time of day it is hosted. Hi Amber! We would love to help you get into a men’s group. We are working on some options for the men who cannot attend (7) and will get back to you in a few weeks with some options. Can you please send your contact information to seven@gwinnettchurch.org so that we can reach back out to you once we have a plan. Do you have any job openings? If so, where do you post them? Thanks! You are welcome to email us your information at info@gwinnettchurch.org and we can go from there! I saw the “Gwinnett” location, however, unless I’m mistaken, it looks like just barely in North Gwinnett. Ever think of getting into mid- Gwinnett? Please post the link for donations to the hurricane Harvey relief efforts. How are the children’s classes broken down age wise? I have a 3 yr old and a 10 month old. So sorry for our delay John! Your comment got caught in the spambot attack we had! 🙂 We have Waumba Land available for your 3 year old and 10 month old. They are divided by age and by walker, crawler, toddler, etc. We live near the old Northview where you are moving to. Where can I find information on who the pastor is? Denomination? Beliefs? Affiliations? Live sermon with a pastor in house or is it a satellite feed? Thanks Stacie! No, we will not be having services on Memorial Day. Thanks! Thanks Sabrina! Are you getting any particular error message when you search “Andy Stanley”? I attend Gwinnett Church at Hamilton Mill and am loving it. Is it possible for the camera to stay on Andy’s notes longer for those of us who take notes? It seems that you move the camera off his notes so quick. Just a suggestion that would be helpful. Thanks! Thanks Melanie. I am not sure we understand the question?